Most often, the attic is used to store old and unnecessary items, tools, supplies that are not used, and it is a pity to part with them. 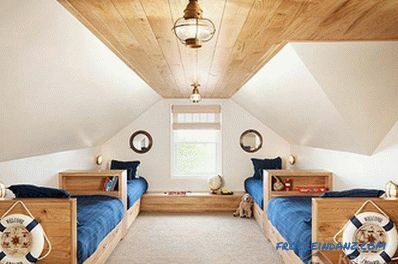 But when the house is already equipped, then due to the growing family size or the desire to equip an additional cozy room for comfortable rest, it may be necessary to expand the living space and retool the attic. Over time, there may be a need for a so-called "useful floor". Then the attic room gets a beautiful and romantic name - the attic, which causes associations with the Parisian quarters and the roofs of Montmartre. 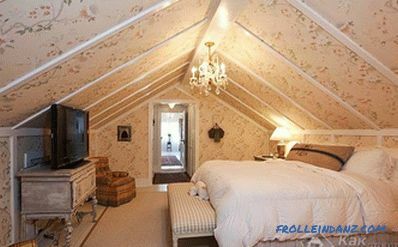 It is not at all easy, as it seems at first glance, to make an attic room residential. Such a reconstruction involves not only certain financial costs, but also labor-intensive construction work. Planning and subsequent repairs can be done by hand. First you need a project of an attic with the design features of the house, such as the shape and height of the roof, the location of the stairs, ventilation and lighting, the number of rooms in the house. Not every attic can be residential . 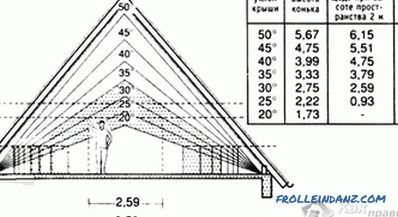 Construction requirements stipulate that the attic space should be organized with a slope of a roof slope of no more than 45º, and the construction of the house and the location of the rafters do not interfere with the free movement around the attic. Care must be taken of the location of the fixed stairs in the house yet before repairs are made on the ground floor. 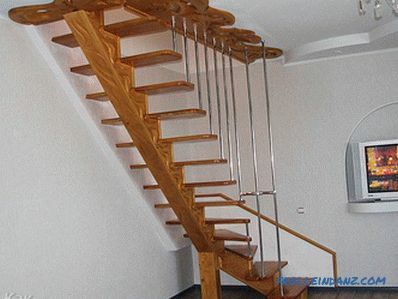 It is important to decide where it will be installed, so as not to obstruct the passage, and to free up space for furniture. There must be windows for ventilation and lighting in the attic. Where the windows will be located - on the gable or in the roof itself - will depend on the shape of the roof. The windows in the roof are called attic windows. 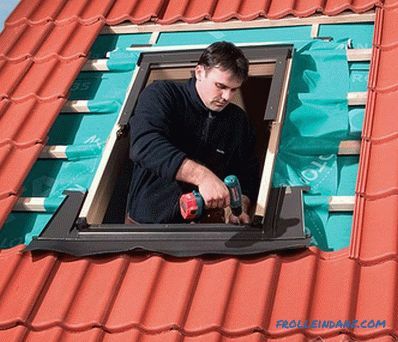 In contrast to conventional windows, to install and seal roof windows more stringent requirements are imposed since these windows are heavily exposed to heavy loads of rain and snow. 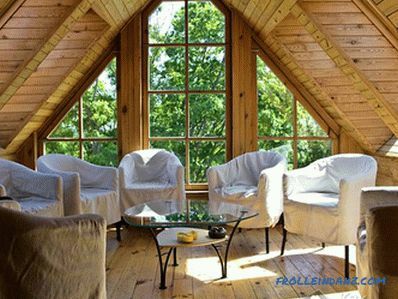 But dormer-windows are an excellent design solution, which allows not only to fill the room with light, but also to become a decoration of the exterior of the house. If the roof is hipped, then skylights are the only way to light the entire attic. In the refurbishment attic is an important point is its warming. To be comfortable in the attic, the appropriate temperature must be ensured. 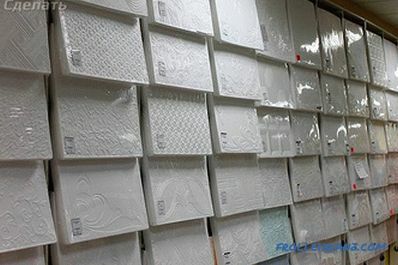 Since warm air tends to rise up, the insulation will prevent its dissipation. Pitched roof is warmed with a material not less than 10 cm thick. 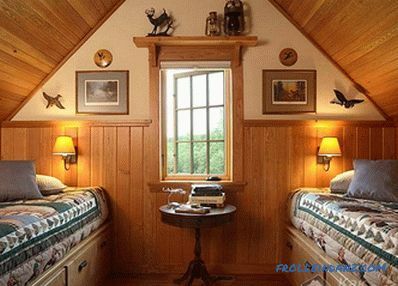 For warming an attic room use only non-combustible, vapor-permeable and eco-friendly materials. 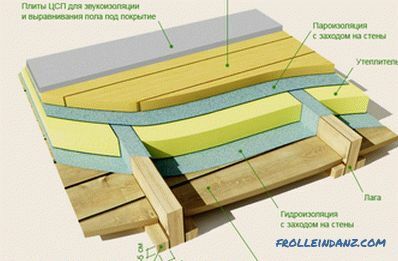 Both for the floor and for the roof, mineral wool, polystyrene foam, penoizol will be suitable as insulation. 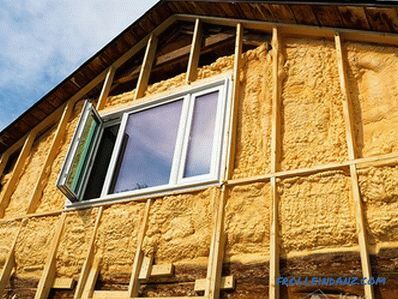 As a heater for walls and attic floor, you can use slab or rolled insulation based on glass wool. These modern materials have the ability to keep warm air perfectly, and because of their low weight, the load on the foundation of the house will not increase significantly. A heater is placed between the wall and the plasterboard or clapboard, thereby keeping the interior of the room. The flooring in the attic is laid using ordinary board or plywood, and if funds permit, it is possible to equip a heated floor. 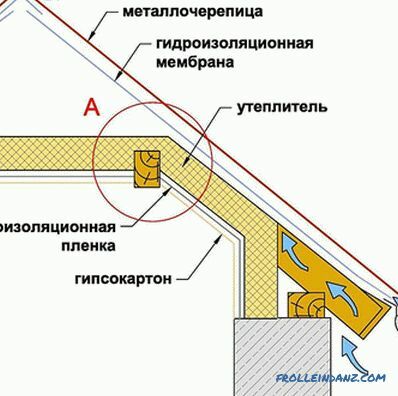 If the attic is low, then you should not use thick materials for the floor. 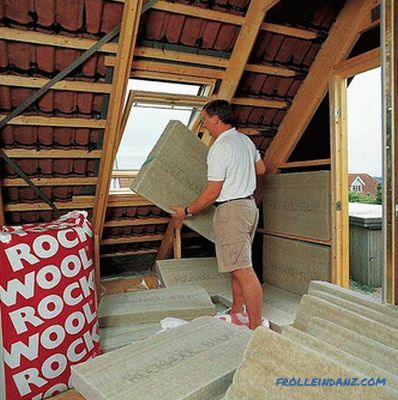 To insulate the attic, a continuous layer of insulation is required around the entire perimeter of the room. 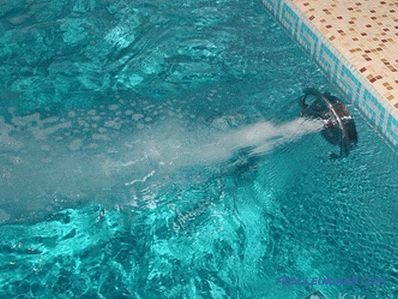 It is important to ensure good sound insulation of the floor, as well as to avoid the formation of condensate - reliable waterproofing of the ceiling. Materials for interior Finishes are chosen depending on the style. The attic of a wooden house is finished with wooden materials - a board, plywood, and clapboard. 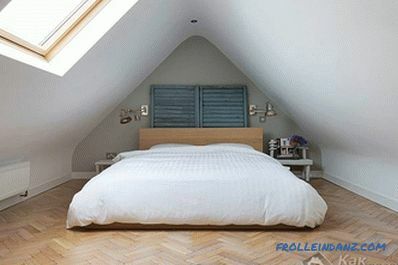 At the same time in the interior of the attic can be used wooden or wicker furniture. Decorative cross beams, painted in contrasting colors to accent walls and ceilings, also look impressive. Choosing the right paint. In a small room for walls it is better to use light colors, as they are capable of creating a peaceful and calm atmosphere. A bright color can be used to highlight the central wall as an accent. Laconic furniture placement. No need to clutter the room with cabinets, tables, chairs. Placement of furniture should be compact, for example, in order to save space, it is advisable to use functional hinged shelves. The bed in the bedroom will take its place at the lower wall. Using accessories that play an important role in creating an interior style. Such accessories that complement the image of the room can be curtains for roof windows and textiles. The main rule is the harmony of texture and color. For a better view of the future room, it is necessary to make an outline of the floor plan. 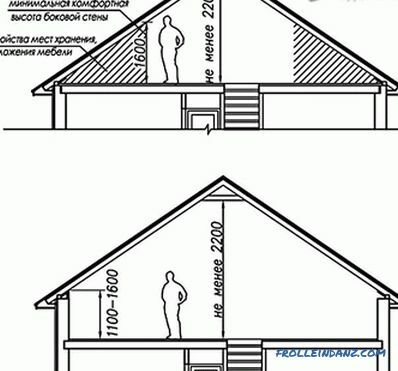 To convert an attic in a country house into a residential area, it is necessary to find out possible technical changes and take into account the design features of the suburban structure. Renovation work can be complicated by low ceilings and asymmetrical attic walls. Then make a list of works and make the purchase of necessary materials. To make it convenient to move around the attic and not have any difficulty with placing the furniture, the optimum the height from the floor level to the ceiling should be 220 cm. The minimum permissible minimum is within 190 cm. 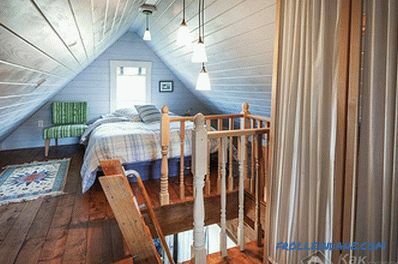 If you still want to convert the attic into a living room, and the height does not allow, then you will have to redo the roof, which is very expensive. It is necessary to make a thorough check of the structures (battens, beams, attic floor, roofing material). If there is such a need, then the damaged parts should be replaced and the wooden parts should be treated with an antiseptic. Soundproofing the floor when laying the foam layer at least 3 cm thick and screed with laying the laminate or linoleum and then installation of plinths. As a flooring, you can also use boards or sheets of fiberboard with a minimum thickness of 15 mm, followed by painting. Heating of the room in the attic. For this purpose, you can use an electric radiator or a fireplace, heated by firewood. Communications, such as ventilation shafts or plumbing pipes, must be moved or hidden. Lighting - wiring is performed with strict observance of fire safety regulations. 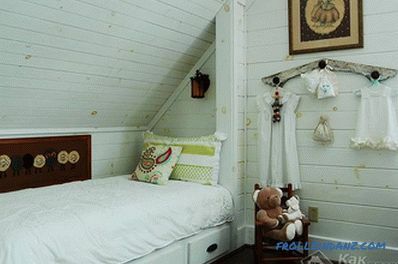 The decoration of the walls of the attic room can be done with the help of clapboard, moisture-resistant gypsum board or fiberboard sheets by fixing it with screws. 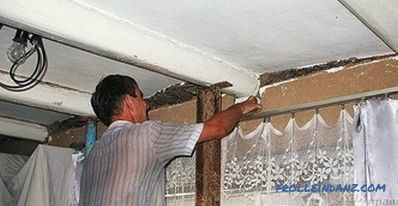 After that, the walls are plastered and painted in the desired color or covered with wallpaper. Equip children's room for sleeping and games can even be in the attic. 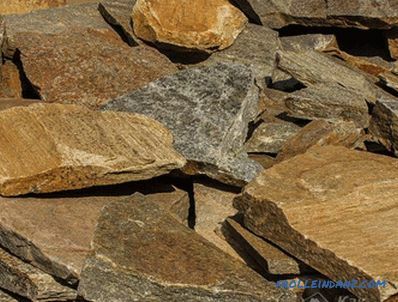 Naturally safe, environmentally friendly materials are best suited for this purpose. 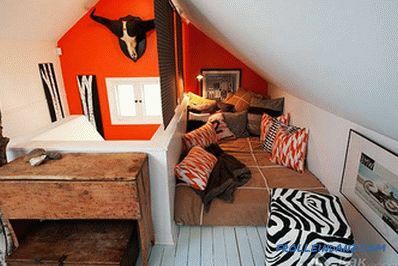 The interior of the attic can be decorated in bright colors, and in bright pastel colors. Furniture must be safe, without sharp corners and securely fastened. It can be a small sofa and a table for games and activities. And an indispensable attribute of the nursery are, of course, toys. As a floor covering can be a rug or carpet. Due to its location, the attic is special cozy atmosphere. 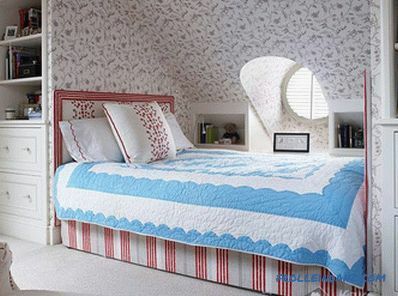 Therefore, it is convenient to equip a bedroom for adults, teenagers or a guest room. To arrange a comfortable bedroom for sleeping and relaxing, you will need to arrange beds, as well as areas for storing bedding and linen. From furniture you can use the necessary minimum - a bed, a mirror, soft poufs. In the interior of the bedroom plays an important role lighting. Soft light diffusion can be achieved using wall sconces or a floor lamp. 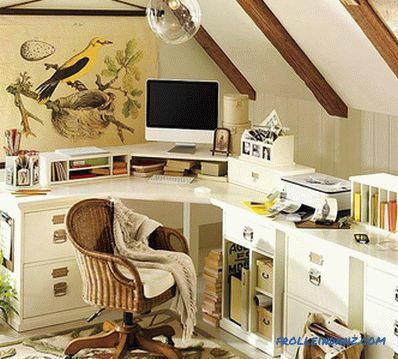 Attic space is ideal Suitable for creating a convenient office. The interior of this room is best done in bright colors.To create a business environment you will need a comfortable desk, an armchair, a small closet or several shelves and office equipment. And you should definitely take care of high-quality workplace lighting. Such a relaxed atmosphere can set up a fruitful work. 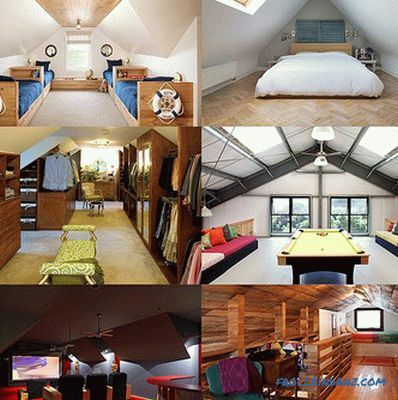 There is nothing unusual in arranging the living room in the attic. 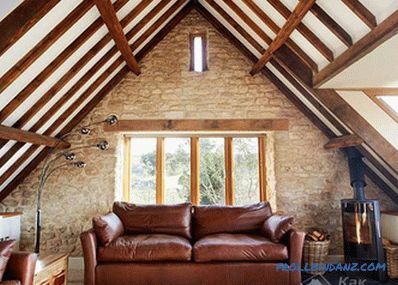 As a result of competent refurbishment, an attic room can become a place for receiving guests or family gatherings over a cup of tea or aromatic coffee. 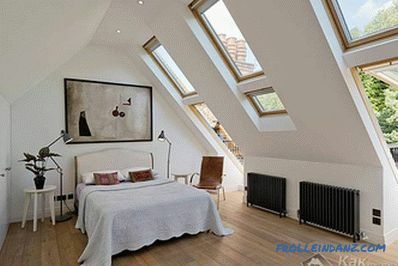 A large window in the attic with a beautiful view of the river or the garden will turn the rest into a real pleasure. Upholstered and cabinet furniture for the living room should be chosen low - a sofa and armchairs with a small coffee table and low cabinets or shelves. 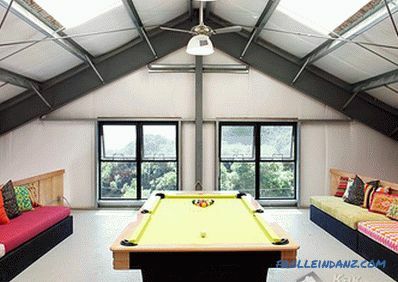 For a comfortable recreation with friends can organize a billiard room. For this purpose it is necessary to put a billiard table in the center of the room, and light wicker furniture is quite suitable for rest. It is necessary to provide sufficient lighting over the pool table with the help of lamps. 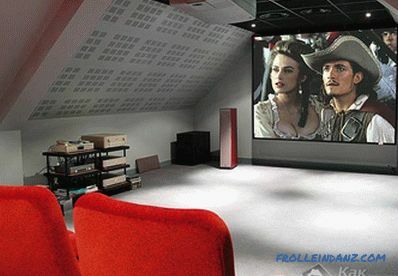 Movie lovers will love the idea of ​​home theater equipment. To do this, around the perimeter of the rooms have upholstered furniture. For preparing drinks and cocktails, you can also use a table or a bar counter and install a small refrigerator. 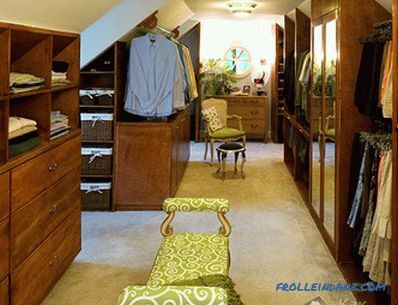 A small attic without windows can be turned into a dressing room for storage, depending on the season, outerwear or, on the contrary, umbrellas, swimwear and shale. Combined lighting from spotlights and spotlights built into niches or LED tapes glued to the boxes will make the interior modern and fashionable. 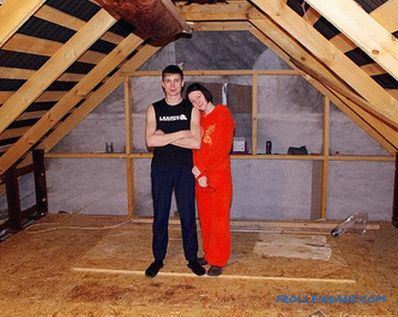 By breaking the attic into zones, you can equip a multifunctional room. As you can see, once uninhabitable, an empty room can be perfectly used to implement a wide variety of design solutions. The main principle is not to miss a single square centimeter of usable living space. 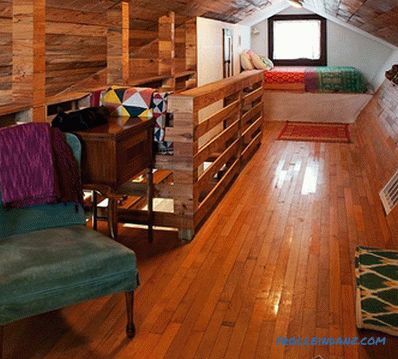 And then the interior of the once useless attic will be superb.